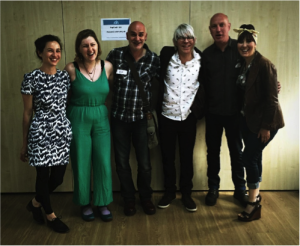 Brighton & Hove Compass report – What next? Compass is the home for everyone who wants to be part of and build a Good Society – working towards a much more equal, democratic and sustainable future. 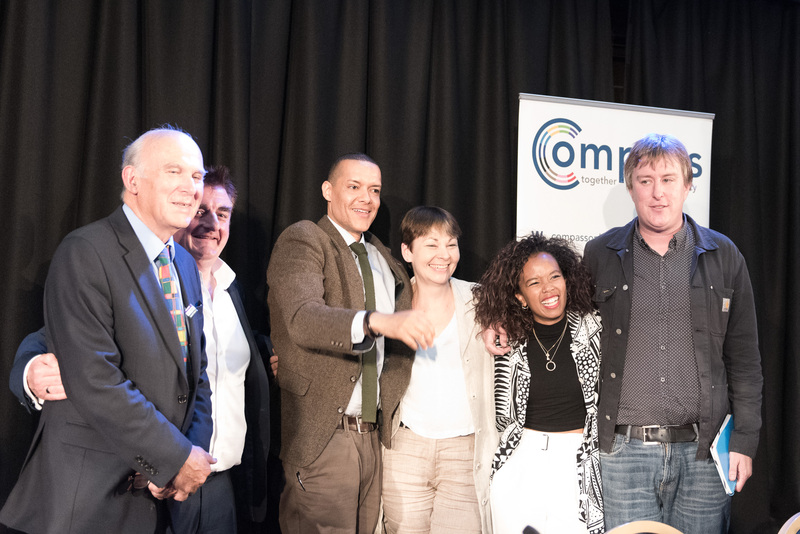 Compass is founded on the belief that no single issue, organisation or political party can make a Good Society a reality by themselves, so we have to work together to make it happen. Compass is a place where people come together to create the visions, alliances and actions to be the change we wish to see in the world. Compass is a member-led movement that has been operating at national level across the UK since 2003. Recently, regional groups have been set up to work towards the Compass aims at a more local level. The Brighton & Hove group was formally launched in May 2015. Since then we have participated in festivals and held large public meetings and informal Get Togethers. We look to involve a range of speakers from the world of politics, journalism, campaigning and academia, offering national and local perspectives which complement the creativity, experience and expertise our citizens. Our current work is focused around working with all interested groups, communities, parties and individuals to collaborate on the advancement of local democracy and power sharing through electoral reform, alliance building, increasing access and enabling inclusion. We believe that Brighton & Hove is a rich environment to advance the cause of progressive politics in collaborative, positive and respectful ways to the benefit of all sections of our amazingly diverse and rewarding city. It would be safe to assume for a multitude of reasons that most members of B&H Compass voted Remain in the EU Referendum, whilst acknowledging that some progressives held valid reasons for voting Leave. However, the result and aftermath of the vote is reminiscent of the last General Election where Brighton & Hove voted one way, and most of the country the other, and many of our citizens felt a sense of despair. Anecdotally, many of us joined Compass after that General Election, as somehow we needed a space where politics and progressive ideas could be discussed in a calm, compassionate non-tribal environment. A space where hope could be reborn. 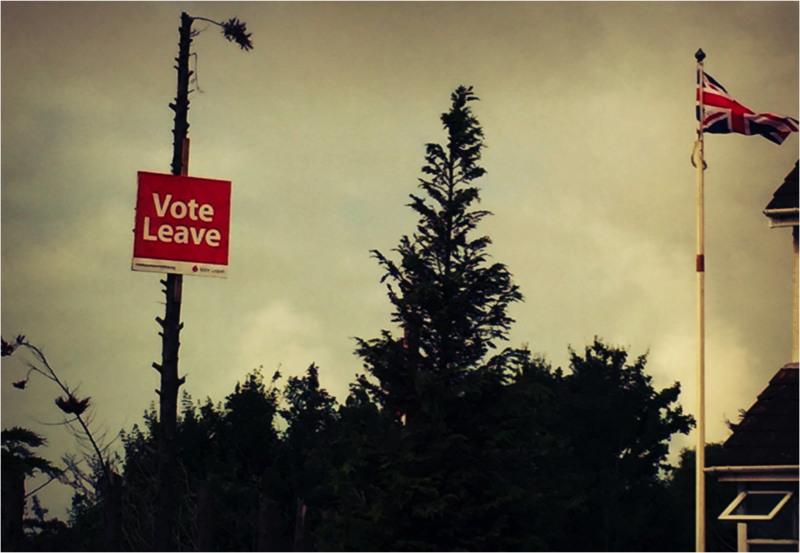 Whichever way you voted, our country is divided more than ever, with a power vacuum at the top and a maelstrom for the rest of us below. So this space is now needed more than ever. In Compass we strive for the best of democracy, sustainability and equality, and these beliefs hold true whether we are in the EU or not. We also have to acknowledge that this cannot and must not be about the 48 versus the 52 percent. There will be Remainers whose views on neoliberalism and the role of the state are some distance from our own. There will be Leavers whose values on a fairer society and anti-austerity are nearer to our own. We cannot afford to turn our backs on the back of one vote. After much of the negative rhetoric on both sides of the national referendum campaign, that often drowned out more positive messages that came from some quarters of Brighton & Hove, the need to promote ideas of tolerance and understanding across the voting divide, whilst advancing the progressive cause, has a true sense of urgency. For Brighton & Hove Compass ‘What Next?’ was our first step. On the 7th July 2016, in the wake of the EU Referendum, approximately 30 people came to a quickly organised informal gathering hosted by Brighton & Hove Compass to talk about the future of progressive politics. We were delighted to have three speakers to kick start the conversation offering national and local perspectives. They were Neal Lawson, Chair of Compass, Davy Jones, Co-Chair of Brighton and Hove Green Party and Janet Irwin of the Women’s Equality Party Brighton. The meeting then split into break out groups working on related self-initiated themes, which were briefly reported back to the whole group. This report summarises the speakers’ conversations, presents the break out group notes and offers a brief conclusion on a potential way forward. Neal spoke about how for him Brexit felt like being a terrible thing, but that it has to be a wake-up call for progressives and not just a trip wire to a terrible government. He felt that many of the 52% were bewildered, lost and humiliated by 40 years of neoliberalism, but that some on the Remain side felt threatened by their decision to vote leave. Neal felt that recently the world of politics lacked vision, agency and democracy, whereas in the EU Referendum Farage had displayed passion, vision and stuck to his message. “Let us progressives have that!”. Post Brexit, with Labour dividing and the Tories lining up behind Theresa May, progressives need to take the opportunity to rethink and rebuild, but it has to be around the end of what he called ‘growthism’; rampant consumerism where we buy things we don’t need. Neal felt that politics had to stretch from the local to the national to the global. It has to be deeply democratic and work from communities, workplaces and upwards. We have to believe and trust in people so they can express themselves. June 21st could be seen as an example of this. On both sides of the 52/48 divide people want something better. Neal’s hope was that post Brexit, people want a different kind of politics, that we emerge into something dramatically different, and even though we are in a world that is burning and getting poorer there is great potential for that to happen. Davy told us that unlike the rest of the country the case for Remain in Brighton and Hove had been a progressive one and also uniquely unified, with the Greens, Labour and Lib Dems producing a progressive Remain leaflet, which left the Remain Tories out as their message was different. Davy observed that there has been a real outpouring post Brexit in Brighton & Hove with people wanting to do something, especially in advancing progressive politics. But by their very nature political parties exclude some people, including the majority of voters in Brighton who he described as the ‘progressive independent’. Politics is broken and we have to address it. But the Referendum showed that people used their votes. Now was the time for all progressive parties to support PR and allow peoples’ voices to be heard again. Davy felt that ‘Take Back Control’ is a very good slogan, and one that progressives should take as we need to take back control of councils, services, rail etc. But in order to achieve those aims we do need to kick the Tories out. Yet, if we are all fighting each other on the progressive side it won’t happen. But we need principles to get it right. It can’t work by just bringing parties together and we need the progressive independents to be involved too. They should have a say on who stands as a candidate. This could be done the use of Primaries rather than the current system of candidates chosen by small groups of party members. But would national parties allow local parties to make that decision? Furthermore, to ensure progressive success would parties stand against each other, step down, not campaign? These are the things we need to think about if we don’t want the next election in the south to continue seeing Tories voted in because of splits in the left. Janet explained that the WEP has found a space in politics that other parties were not meeting. However the WEP did not take a stance in the EU Referendum, though she thought most of the membership would have voted Remain. Taking into account their inspiration of the Suffragette movement, their key issue was to get more women to vote. The Tory Party should be applauded for having female candidates in the leadership election but do they talk about women’s rights? The WEP is open minded about participating in a collaborative progressive alliance, but they are wary that it does not go too far to the left, as progressives will need to bring in some of the 52% from Vote Leave. The task of creating a progressive alliance in Brighton & Hove is a complex challenge that will require the collective effort and goodwill of many organisations and individuals. Our Get Together was a great first step. Here we began the process of bringing individuals and organisations together to begin mapping a way forward. Based on those ideas we have produced an outline plan that suggests some steps that might help us start creating our local alliance. The role of B&H Compass in this is to encourage the development or ideas and action (a kind of ‘open praxis’). We see our role as being a facilitator and incubator of ideas. We aim to launch the alliance to build an alliance in September, either to coincide with an existing major fringe meeting planned for Lib Dem conference in Brighton or at another time, inviting speakers to offer national and local perspectives. We plan a series of other events through the rest of 2016 and 2017 with the aim of building a head of steam, particularly with those thousands of non-aligned progressives that live and work in the City. We make contact with the many other local initiatives across England and Wales in particular. B&H Compass will be contacting as many of those who are interested in the idea of creating a progressive alliance as we can in the next couple of weeks and we’d be happy to organise the meeting. In the meantime well start developing a list and contact details of as many groups and individuals we can. Please feel free to send us your suggestions. Finally, here is a link to YouTube where you can watch a recording of the full stream and edited highlights of the recent Compass Progressive Alliance meeting in London. We have been very inspired by it. *NB: Between the day of the meeting and the publication of this report, there have already been moves to establish communication between progressive groups, parties and individuals, so our suggested Way Forward may get overtaken by subsequent events. Keep up to date by joining our mailing list and following our social media accounts. An afternoon of creativity, conversation and engagement reflecting on the issue of democracy and power – from local and national perspectives – and challenges us to envisage a new democracy for Brighton and Hove. Featuring a range of local and national speakers and groups from the world of politics and beyond. Dr Andrew Blick, Lecturer in Politics and Contemporary History, Kings College London. Author of ‘Beyond Magna Carta’, Andrew’s main area of interest is the constitutional future of the UK. Katie Ghose, Human Rights lawyer and current Chief Executive of the Electoral Reform Society. Katie is a regular media commentator on elections and voter disengagement. Davy Jones, Green Party candidate for Brighton Kemptown at the last General Election. Formerly of the Audit Commission, Davy is a freelance advisor who works with councils and other public bodies on how to involve local people in decision making. Peter Kyle, Labour Party MP for Hove and Portslade since May 2015. A former charity sector executive, in the last Labour government Peter was a Cabinet Office Special Advisor focusing on social exclusion.